A unique pocket watch designed by Segue. This funky pocket watch is held inside a small leather carrying case. 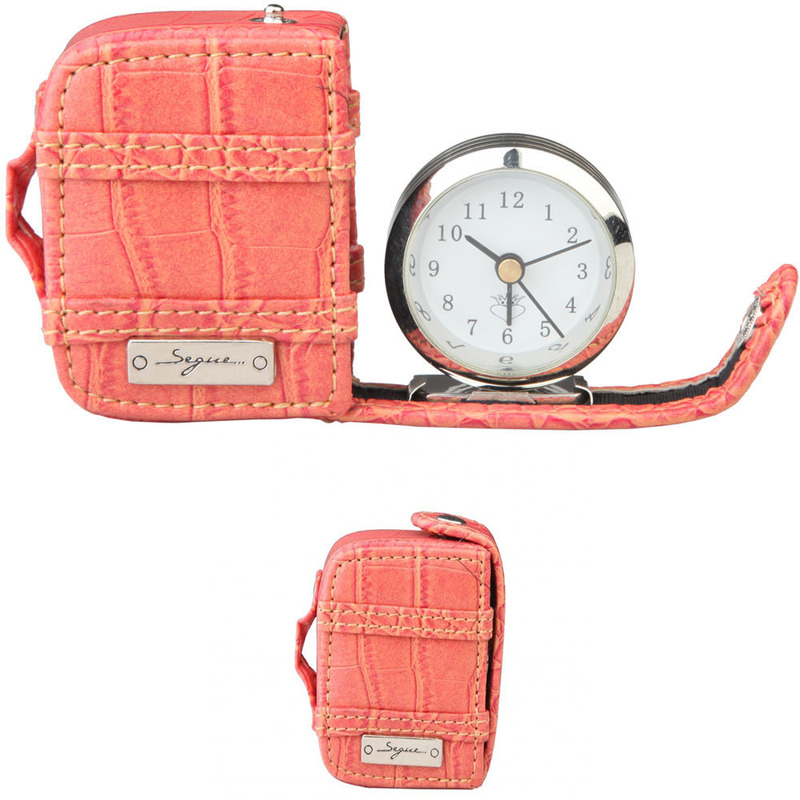 This Segue watch is supported inside a salmon leather case which protects the case from scratches and damage.